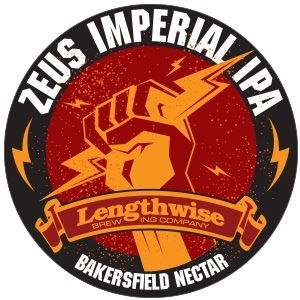 I had a quick trip to Bakersfield California last week, Not much free time but I did manage to get out to the Lengthwise Brewery Pub out on Calloway on Sunday night during the football game. I had my two beer work night limit, one was the Midnight Restoration Ale, it was nice, and then I had the Centennial IPA as we called it an evening. My last night in Bakersfield last week included a dinner at my sister-in-law’s house. Her husband and to a certain extent, my sister-in-law are oenophiles. I have nothing against the affliction, I believe that it is curable and those that can’t be cured can still live a full and productive life. I believe they just need to broaden their horizons! I swung by the Calloway Lengthwise Pub on Calloway to pick up a couple of growlers as a gift for the hosts. 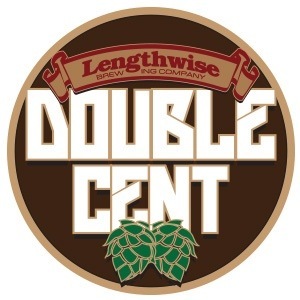 My wife had sent me a note informing me of a new tapping on sale that evening – the Double Centennial IPA. I picked up one growler of the Double and the other was the Golden Ale – a light refreshing ale that isn’t too heavy. I will try to pick a day this week to brew a session type beer – 4.5% ABV or so, light in color and body. My friend John sent me a note….his Christmas gift – beer of the month delivery is in his possession – he needs some expert help assessing the quality of the shipment. It may be an effort but then again it might be worth the effort.